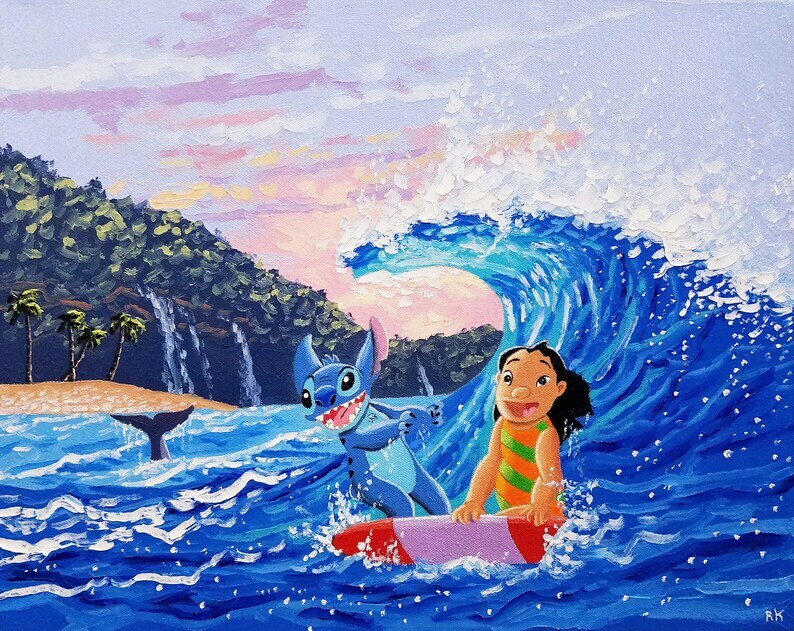 Of course, as a seascape painter, I had to paint Lilo and Stitch hitting a wave in Hawaii! I added a lot of extra detail to the wave, as that sets the tone and feeling for the entire piece. I'm really proud of this one and it truly encapsulates my love for the movie.